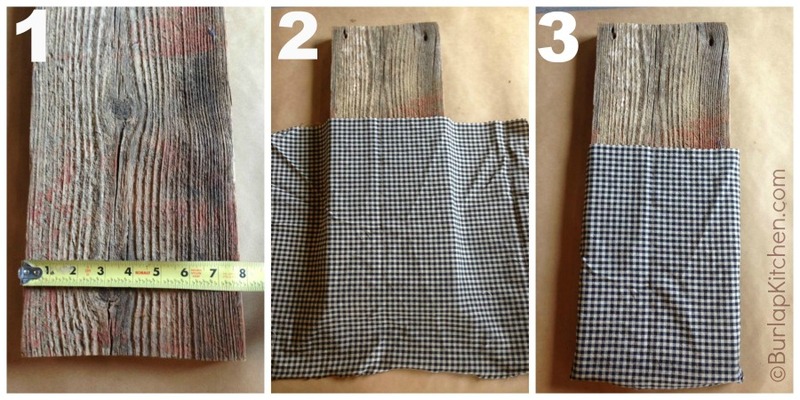 Cut a piece of fabric to fit around the the plank. Lay the fabric over the board making sure the board is in the center. Hold fabric in place and flip the board over. Step 2: Fold the bottom fabric up and staple. Next fold the fabric on both sides and staple. When you staple you want to make sure the fabric is tight. 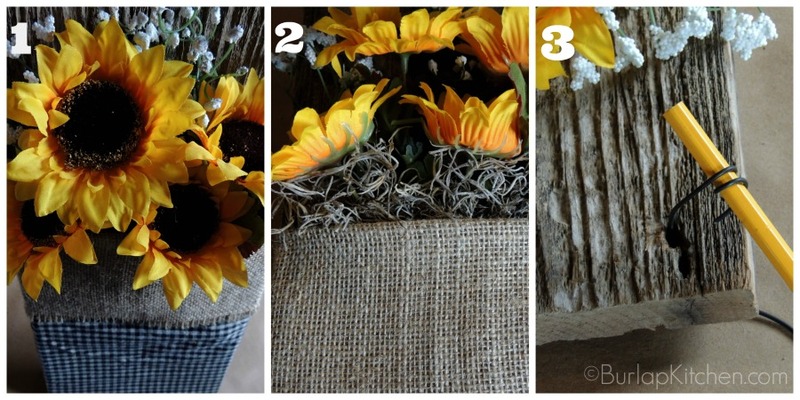 Step 3: Cut a piece of burlap double the width you want it. 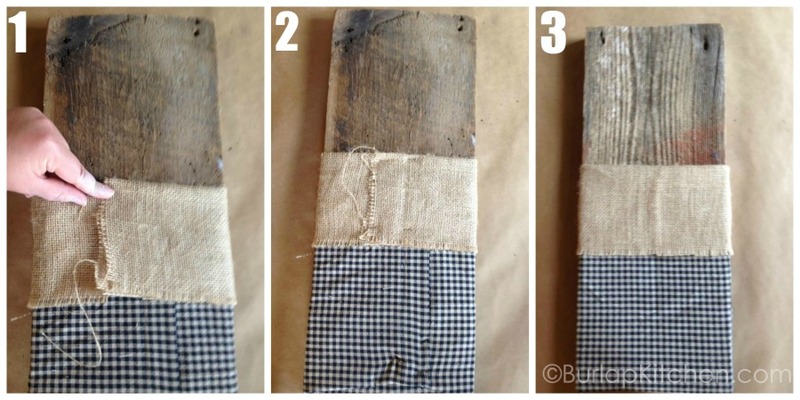 Center the burlap over the board and allow it to slightly overlap the (black & white checked) material. 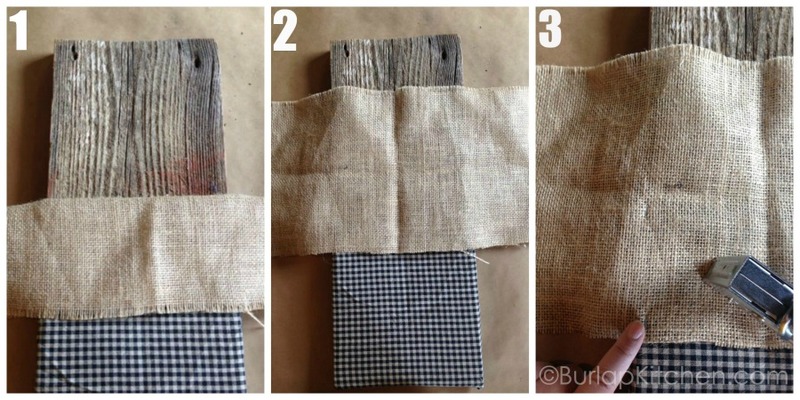 Fold the burlap down to make a crease, unfold the burlap and put a staple on the crease as close to the edge of the board as possible. 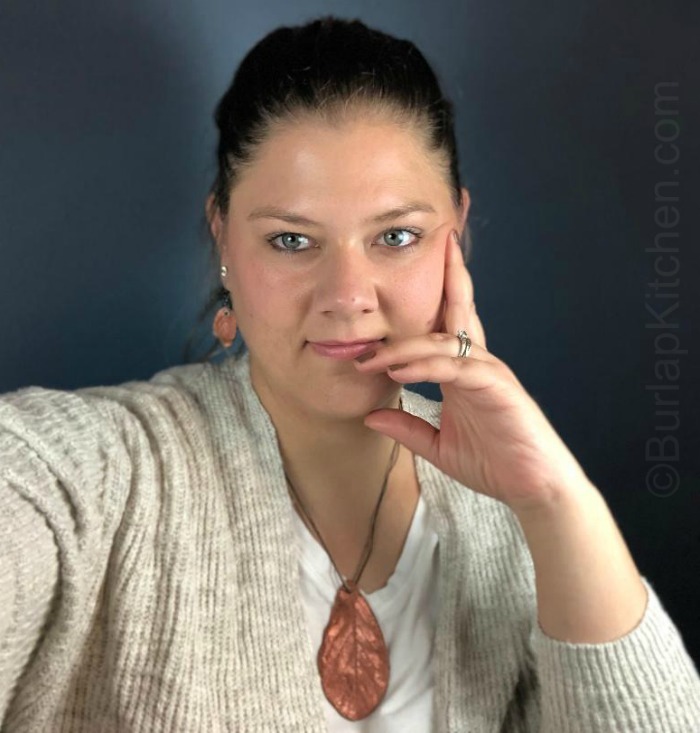 Put another staple at the bottom of the burlap. Do the same on the other side. 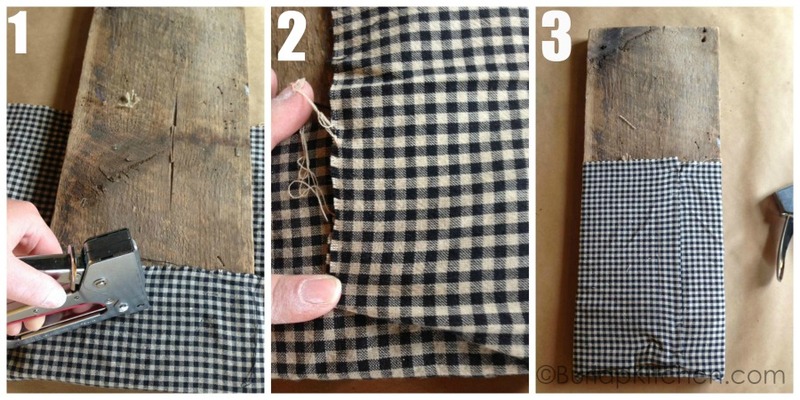 Step 4: Then pull the burlap around to the back and staple. Make sure it is tight. Step 5: Now you should have a pocket. Put an arrangement of flowers of your choice in the pocket. Tuck in some brown Spanish moss. I then drilled two holes in the top corner so I could hang it. I twisted the ends of my wire around a pencil to give it a cool swirly look. 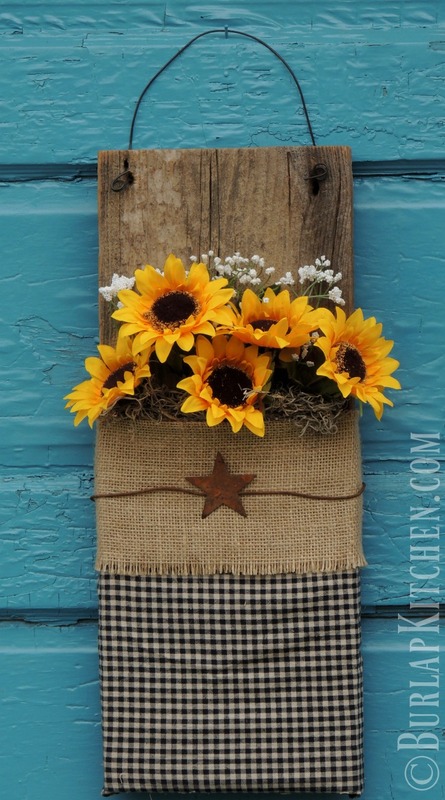 You can leave the burlap plain or you can dress it up. I chose to dress it up with a rusty star.